A natural leader at home and in the community, Robbie Holland Major was a go-to person in the neighborhood. “All kinds of people gravitate to me and I do what I can to meet their needs.” Robbie founded People Against Senseless Violence, a support group for persons who have lost family members to violence, after her own son was killed. “I use my personal grief to help others.” But she wanted to make an even bigger difference. 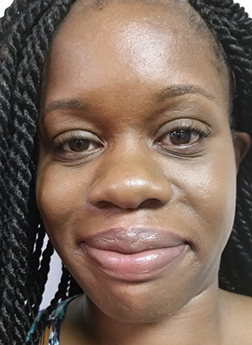 Ms. Holland always wanted a college degree, and, encouraged by those she already served, she enrolled in the human services degree program to improve and expand her counseling skills. “What made it so good – it was right in my backyard!” Yet, even with life and leadership experience, Ms. Robbie had reservations about going to college as an older adult. But the ACE program gave her the support she needed to persevere. Like many ACE students, that needed support was encouragement. Hearing a chorus of “you can do it” from professors, college staff and the on-site coordinator, Robbie grew in confidence and began to believe in herself. Edward Martinez’s first experience with college is a familiar one. Eager to pursue a degree, he arrived on campus with high expectations. However, as is often the case at large schools, Edward was scheduled for classes that didn’t make sense for him academically, he felt lost among the crowds of students and didn’t get the individual attention he needed from his instructors. Like most adults, Edward also needed a class schedule that enabled him to both work and attend school. Disappointed and assuming all colleges would be the same, Edward chose not to continue but remained in the field of education and began working at his former high school. While there, he learned about the ACE program from a previous staff member who graduated two years prior. Having gained a clearer sense of the path to the Ph.D. he’s dreamed about, Edward is taking it “one degree at a time” and graduated in December 2018 with an Associate Degree in Business Management. It’s been a tiring uphill road that has required sacrifices, but John is a steady, strong climber. He graduated from One Bright Ray Community High School and immediately enrolled in the on-site ACE program to pursue an associate’s degree. 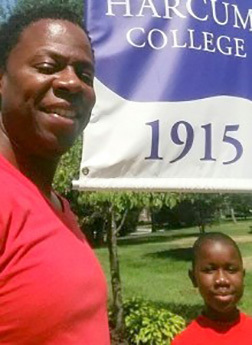 After a full day at work, John heads to class and though not home until 10 pm, he knows he is paving the way for his children, brothers and sister to earn their college degrees. John is now leading his life, not the other way around. In addition to school, he manages the catering department of a large grocery chain, overseeing 26 employees and $2.6 million in annual sales, having worked his way up from dishwasher, server, cook, and night supervisor positions. After graduating this Spring, John plans to earn a Bachelor’s Degree in Restaurant Management from Drexel University, in preparation for running his own catering business. You’re a confident woman, mother, worker and community leader. You’ve been recognized and promoted at your job, you taught yourself how to take care of a daughter diagnosed with autism and now help teach other families and you share your experience with human service professionals. Yet you are not confident when it comes to starting college. That voice of doubt echoes in your mind, “can I do it?” Icylee Basketbill was not sure until hearing the story of another ACE graduate. “I told myself that if he can do it, I can do it.” And she did. She felt immediately welcome by her fellow students and strongly supported by the staff at the ACE partnership site. When she had a problem getting her financial aid award to pay for tuition, the staff coached her through a call to the financial aid agency and she got her grant. Other college programs may not notice when you have a problem and think about walking away. At ACE, we won’t let you do that. We will work with you to find a way through school, work and life challenges so you complete your degree. Also, because ACE values your work and life experience as an adult, Icylee realized the value she brings to the classroom. “My experience has taken me halfway to achieving my goal. I just have to get the credentials.” Icylee came to recognize herself as a college student. You may not see yourself as a knowledgeable college student, but we do. 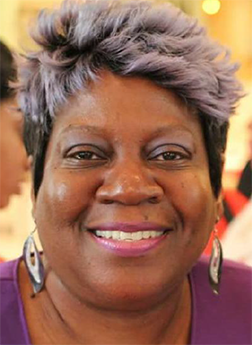 To hear Ms. Basketbill speak about her experience with ACE, click here to connect to her interview with Innovate Podcast. As Maurice proves, you can begin your college studies at any time in your life. The only thing you need is the determination to walk the path to graduation, and the committed staff of the ACE program will be with you every step of the way. You’re employed and paying your bills. You’re helping your family. You’ve developed solid skills in a career field. But it’s not what you want to do as your life’s work. How do you make a change? Is it possible? The journey of Marilyn Collazo in the ACE program answers that question with a resounding YES! With experience and knowledge in the healthcare field, Marilyn continues to earn a living while earning an associate’s degree from Harcum College through ACE. Rather than being a burden, school has helped Marilyn improve her time management skills and break into her desired field – law and justice. She worked with ACE staff and professors to find an internship in a criminal justice court and network with professionals who answered questions, gave advice about career paths, and can connect her to a job after graduation. 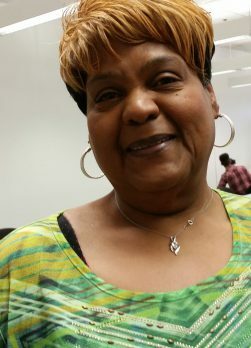 Marilyn decided to invest in herself by enrolling in the ACE college program in order to enter a career she will love. She invites you to do the same. James Washington has dreams. He is an ambitious person. And he takes action to make those ambitions a reality. Driven by a vision to become a lawyer, James tagged along with family friends at the age of seven to read legal briefs in their law offices. As a young man, he took steps to further his education and started postsecondary programs, but could not continue when the health needs of a family member demanded his time and primary attention. But James never lost sight of his dreams. When learned he could take college classes and earn a degree at a church in his neighborhood, he jumped at the opportunity. The ACE site coordinator and his fellow students provided James the support, encouragement and very practical help (transportation, meals) he needed while going back to school. He knew he wasn’t alone on this journey. Not only did ACE provide a means to earn a degree, it offered him a job serving the community. James was volunteering his time to help new students achieve their dream of a college education. 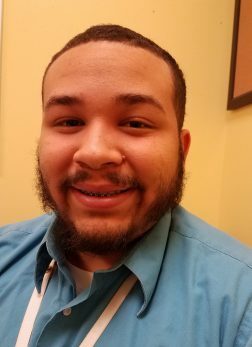 ACE program staff took notice and invited James to become a Community Education Advocate, or CEA, spreading the word about the importance of a college education and bringing new students to the program. 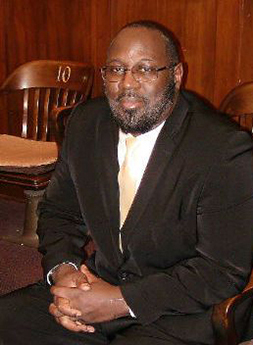 “As a CEA, I am impacting people’s lives by helping them build toward their futures through higher education.” Naturally inclined to meet others’ needs and equipped by his law and justice courses, James also assists clients of public defenders build stronger cases by conducting legal research through a nonprofit organization he started. James begins a Bachelor’s Degree program at Penn State this fall. Finding the right college program can be a barrier for adults looking to return to school. Does it have the degree program I want? Are the right courses available? Do they fit with my schedule? Do I like the location? Is it easy for me to get to? How long will it take to get a degree? Shannon is on the path to achieving her career goals. Not only did the courses help Michelle run her business better, her experience in the ACE program is helping her to lead the community to a better place. She became involved in politics during President Obama’s 2008 campaign and encouraged by an ACE political science professor to become more deeply involved in local politics. Michelle is now involved with the Democratic Committee in her community and ran for elected office this Spring. You think you can’t afford to go to college. You have a job, kids and you’re a single mom. And even if you could find the time to go— actually getting to the college, figuring out where you need to go, who you need to talk to, getting to class on time— it all seems impossible. Lolette Brightman thought attending college was impossible. Until she found the ACE program. She worked with one person who helped her apply for financial aid. Another person was available to help find her tutoring, when she needed it, and to help with any computer problems. One of the most appealing aspects of ACE was its location right in her neighborhood. There were no buses to take, or taxis; no need to arrange for rides with friends. I thought a college degree was impossible for me. But I wanted it. I used to sit on the campus of a university near where I grew up, enjoying the diverse climate, trying to imagine myself as a college student. I was raised to work and I was expected to get a job (or four) after high school. A college education was not on the radar. I became a licensed barber and worked in a youth group home. Then I heard about the I-LEAD ACE program one Sunday at church. Working two human service jobs and cutting hair on the side meant I had very little time for classes and homework. But the ACE program made college doable because it was very accommodating to me as a working adult. ACE gave me a schedule that fit into my working life, it was flexible, and, most importantly, it brought college to me in my community. During the program, I had a work conflict with a class schedule. Using the negotiation skills I learned in class (that’s how practical the Leadership curriculum is! ), I presented my grades to my supervisor (straight As) and we discussed switching my work hours so I could attend class. ACE has helped me achieve and given me more market value as a professional. 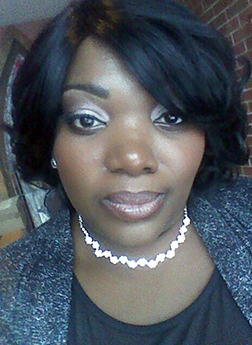 I graduated from Harcum in 2012 with an Associate’s Degree in Leadership and went on to Lincoln University to earn my Bachelor’s and Master’s Degrees in Human Services which I completed in April of this year. I’m also working as a CEA helping people take the next step in their educational journey. Due to my degrees, my family looks at me differently, with a stronger sense of respect. I love being able to look at my son and see the spark in his eyes for education. You know how life just keeps happening? You graduate from high school, get a job, have children. Your days are filled with going to work, making dinner, helping with homework. Solving problems. Going to church. Helping friends and family. And you feel like you are slowly sinking in quicksand. I was released from prison two years ago and had made a decision never to return. I was behind bars for 22 years. Prior to my release, I made a strategic plan for myself and fellow inmates called Ten Steps to Reentry. Gateway to Reentry, the nonprofit I founded, uses the Ten Steps to provide support and education to help people understand how to avoid returning to prison. Gateway to Reentry offers one on one and group mentoring for parolees, a mentor training program, and numerous workshops. To be recognized as a leader in the reentry field and continue building a movement, I recognized the necessity of having higher education credentials. I wanted to learn additional leadership skills and gain legitimacy for my organization and therefore enrolled in the ACE program. I am a Human Services major and a proud member of the class of 2016. Sarita Grant woke up one morning when the alarm rang at 5:30 AM, just like she did every other day. It was early winter — and cold and she wasn’t looking forward to cleaning cars for the big rental place where she worked. It was hard work in the cold and even worse when it snowed and rained. As she lay in bed imagining her day, Sarita made a sudden decision. “I want more for myself.” She pursued her GED and enrolled in ACE. 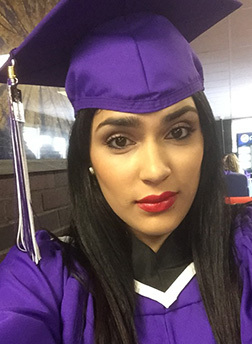 Sarita graduated in December 2015 and is pursuing a bachelor’s degree at Alvernia University. Her future plans are to open a halfway house for women who are coming out of prison and pursue a master’s degree. Your parents are in jail. You are expelled from high school because you were in a fight, and your grades were never good to begin with. A lucky break gave you a second chance at high school and you determined to make the best of it, to turn your life around before you followed in the footsteps of people around you who made bad choices, got bad breaks. 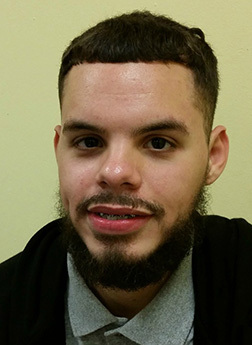 While studying for his degree, Luis did an internship at 336 City Hall where he “shadowed” probation officers and experienced the system from an officer’s perspective. Luis earns As and Bs in his courses, has been on the Dean’s List, and works part-time. I came from Puerto Rico in 2002. I spoke little English and didn’t have my high school diploma. Given my challenges with English, I was nervous to enroll in high school but knew I needed to continue my education in order to get a good job. I wanted more than the restaurant and retail jobs I had. I graduated high school in 2011 and I moved directly into the ACE college program. It was on site at the high school so I was comfortable and familiar with the people and the environment. Soon after enrollment in the college program, my high school offered me a job as a receptionist. This job provided me an opportunity to further develop my English skills and I grew in confidence. I learned a lot in this position. My English improved, I became a better communicator and engaged in the community. As a college student, I mentored fellow students, especially other young women, and gave them advice and encouragement to continue working toward their degrees. I worked as a receptionist through the college program while providing and caring for two young children. Upon graduation with my associate degree, I was promoted to the position of Human Resources Assistant at the high school and am successfully performing this job today. Once nervous about moving forward with my education, I am proud to be a graduate of the ACE program of Harcum College, class of 2014, and will be enrolling in Temple University this fall to earn my bachelor’s degree. Most of us have fallen on tough times. A job loss, an injury, the health care needs of loved ones. We find ourselves without sufficient resources to manage a life circumstance and turn to others for help. Some of us view these times as another in a series of negative life events. Some of us choose instead to see them as opportunities to learn. Tommie Suggs was eager to move to New Orleans and spread his wings as a young adult, but within two years was displaced by hurricane Katrina and returned to Philadelphia. The family sofa became home and welfare an income for a while. Rather than choosing bitterness in response to his displacement, Tommie grew in compassion for others who are struggling and solidified his ambition to become a life coach and serve others. He wanted to find a college degree program that aligned with his goals. Learning about ACE through his workplace (an ACE partner organization) he enrolled as a Human Services major and takes classes on site after work. Tommie is learning new communication skills, being exposed to a variety of human service careers, and helping fellow students by organizing study groups. He is also cultivating a passion for spoken word and poetry that he discovered in New Orleans. Read “She Cries” here. She has worked and succeeded in sales and clerical positions. But she knew she had to find a way to do what she believes is her life’s work to help those in need. After 25 years of service, I was laid off from my Administrative Specialist job. 25 years! As an older worker who had not been in the job market for some time, I wasn’t sure where my next position would come from. I quickly learned that earning my college degree was the pathway toward regaining work. I was drawn to the ACE program because it is based in the community. I’ve been a community activist for over 20 years, co-founding a girls mentoring program, coordinating a coalition of other community activists, serving as a block captain and holding positions on two boards of local nonprofit organizations. Understandably, I chose Human Services as my major. With one more year to go, ACE has already been an encouragement that I can be a successful adult learner. I have outperformed my own expectations and raised my internal standards even higher. 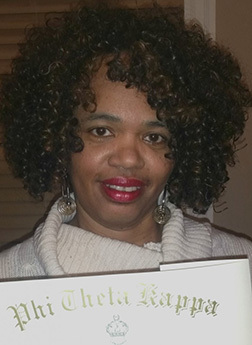 As an acknowledgment of my hard work and achievement, I was inducted into the Phi Theta Kappa Honor Society. One of the greatest benefits of attending college is that it has enabled me to influence others to further their education. When I decided to begin college, a friend of mine also applied to Harcum and a colleague decided to enter a Masters Degree program. I am a leader among my peers. My classmates work harder because they see how hard I work. If you want to earn your college degree, I encourage you to go for it through the ACE program. You will be pleasantly surprised by your success. When she received her high school diploma at the age of 42, Coretta Boone felt a deep sense of accomplishment. And though she has always loved learning new things, she had never thought about college. After graduation with her associate’s degree, Coretta will go on to complete a bachelor’s degree. 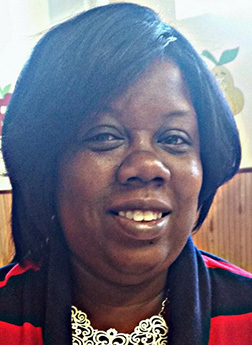 Coretta attends school full-time and works full-time for SEPTA. 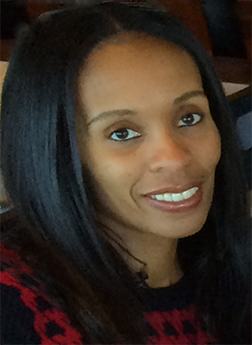 My name is Portia Graham and I am a Leadership Studies graduate of the ACE program with Harcum College and I-LEAD. I knew I wanted to go to college and had tried community college, but the classes and the commute did not fit with my work schedule. I was working as a school bus driver and as an Assistant Manager at a fast food restaurant. With three children all under the age of ten, I didn’t have two more years to wait to train to own a franchise, working all shifts and living paycheck to paycheck. I had a desire to be greater than where I was. I then had a crisis in my personal life and was forced to enter a homeless shelter to escape an abusive relationship. I had to make the hard decision what direction my life was going to go. Speaking with the caseworker at the shelter, I shared my desire for a college education and she mentioned the ACE program where classes took place at a nonprofit right in Coatesville, Life Transforming Ministries. Because ACE has convenient and consistent class schedules in the evenings and classes took place so close to home, there was no commute involved and I was able to work during the day and attend classes in the evening. I was able to balance parenting, self and school. As I began taking my first few classes, my confidence grew and I became involved in my children’s school by joining PTA. As a student I would come to the site to use the computer lab and would always ask the Site Coordinator a thousand questions about what he does until one day he gave me a task to complete. I then volunteered my time in between work shifts and gained a work study position as a Community Education Advocate spreading the word about the program and the opportunity to earn a degree right in town. I now work full time for Life Transforming Ministries as the Director of Education and am organizing my fellow alumni to advocate for the establishment of a Bachelor’s Degree program in the city of Coatesville. ACE gave me my life back and the opportunity to spread my wings! ACE has helped me feel empowered and confident in making life decisions. Since ACE I have been a beacon for family members to go back to school. ACE has also helped me understand why education is important and how powerful it can be, and this has spawned my passion for helping others realize the endless opportunities that await them. Most of all ACE has given me a sense of pride to work, go to school and serve in the community in which I live. Living a creative life does not necessarily mean being good at writing or drawing or making music. Often, living creatively means using your imagination to solve problems, find opportunities, to live your best life. Cynthia Hughes defies any obstacle put before her. Laid off from work? Sell something in the neighborhood that people want. See unsupervised youth in the neighborhood? Start an organization that engages youth as a team to clean the neighborhood and help neighbors. When you get on your feet? Share your secrets to success; encourage other women to make and sell their own goods. Cynthia insists that if a person wants to go to college, it can be done. 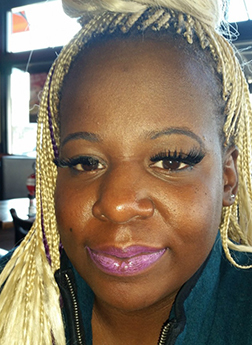 Besides working, Cynthia is a community activist, clothes and greeting card designer, poet who organizes spoken word events and volunteers for Reentry to Recovery.